I don't have amazing solar imaging gear - just a DSLR and a home made solar filter - but when there is a sunspot or active region large enough, it's always worth taking a look to see if I can 'spot' it! 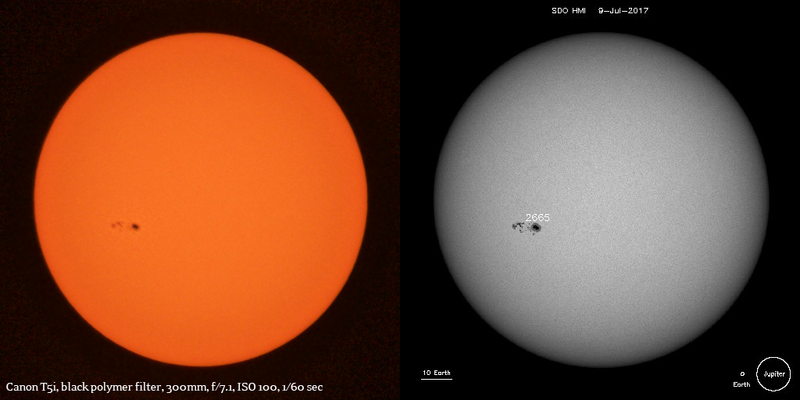 😂 But seriously, when I started seeing photos of active region ("AR") 2665 show up on my social media feeds, I had to grab my camera. My lens isn't quite sharp enough to really pull out all the detail, and who can compete with the Solar Dynamics Observatory with crystal clear live images of the sun. Nevertheless, I've found over the years that my best chances are to focus the camera while it's tethered to my laptop, rather than relying on the auto-focus or trying to focus by hand looking through the viewfinder. If you stop and think for a second, it's pretty darn cool to be able to see a sunspot like this with very little equipment. 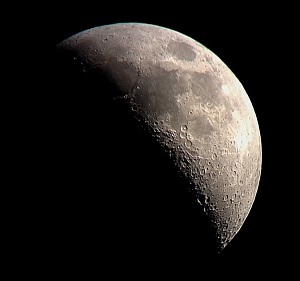 Controlling my camera from my laptop makes me feel super cool, as if I have my own observatory at my disposal. My laptop perched on a chair near the sliding door so the USB cable can reach the camera. My camera slowly following the sun so I don't have to keep re-adjusting it. 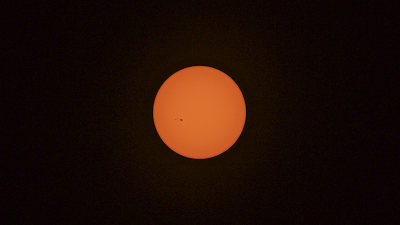 I don't think it's my best sunspot photo, but it definitely was an honest attempt. If you take a look at the weather conditions, they were just okay I guess. I've tried stacking solar photos before and it just doesn't boost the clarity as nicely as moon photos. I'll quit moaning and just enjoy this sunspot the size of Earth, captured on my DSLR in my backyard.